We have all read about those sad and tragic stories. You know, the ones about the college students who committed suicide because of bullying. The ones where kids go silent being picked on and tortured by their peers for whatever "reason" the bully has for it, only to result in being a tragic news headline. This can not be our children's future. Bullying is wrong. Constant name calling, phyically hurting someone, spreading crude rumours about someone, constantly belittleing someone, threatening someone etc is BULLYING. We have dealt with our share of bullying ourselves with our oldest attending school full time now and we know its only just begun, shes only in grade one. It's hard to deal with as a parent feeling helpless that we can't be there in person to physically protect our kids from these issues. It's hard to deal with when the parent of the accused bully does not cooperate or the school can't do anything about it. We can't protect them from the real world but we can educate them. 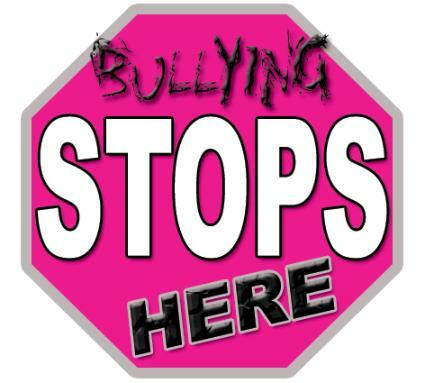 We can educate ourselves to stand up against bullying and put a stop to it or at least try. Many schools have a no-bully policy but often it occurs outside the school, at parks and bus stops. My friend Jennifer over at Canadian Coupon Mom has a strong message to share with the world regarding her and her little boy P's bully situation and how she's handling it. Click here to read Jennifer's post. Talk to your kids about bullies or if you think there is something bothering them that they aren't telling you. You never know unless you ask. 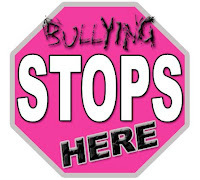 Take a stand against bullies and please pass this message along - As moms, we can make a difference.